Welcome to Alla Breve Music Academy professional music school for the community. The Alla Breve Music Academy was founded in 1995 with 15 students and a faculty of 2 with the first school emerging in North York, then later in Markham and Maple and now has over 700 students and a faculty of over 20 offering classes and programs in variety of musical instruments, as well as voice, Kids Rock Bands, ensembles, theory, composition and improvisation classes. The Alla Breve Music Academy welcomes students at all ages and levels, whether they are absolute beginners or advanced musicians. Many ABMA students take lessons simply for the joy of learning to make music. Others are seriously dedicated musicians who are studying music full-time and working toward careers in music. I went from amateur drummer to professional, with a scholarship to Music College thanks to the guidance and knowledge of the great Alla Breve staff! 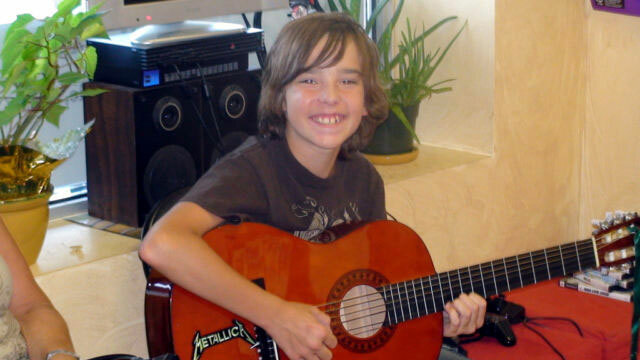 I have been a guitar and vocal student at the Alla Breve Music Academy for the last 3 years. I have learned more about my instruments than I could have ever imagined. The teachers are great and friendly and the lessons are always a lot of fun! I highly recommend this academy to anyone looking for a fun hobby or looking to become a professional!